For golf fans, the simple mention of the “Green Jacket” immediately draws your thoughts to the greens and fairways of Augusta National Golf Club, home of the Masters Tournament. It’s the place where legends like Jack Nicklaus, Arnold Palmer, and Tiger Woods have earned the coveted emerald prize, along with their places in golf history. We just love that the Masters Tournament has become a live television must-see event for legions of golf enthusiasts. Did you know that it’s been broadcast over-the-air on CBS every year since 1956? That means you can watch for free with the high-powered reliability of an indoor or outdoor ClearStream TV antenna from Antennas Direct! You’ll receive the best high-definition picture possible to watch every putt, follow each drive, and experience the excitement of the ball hitting the cup just like you were standing right on the green. 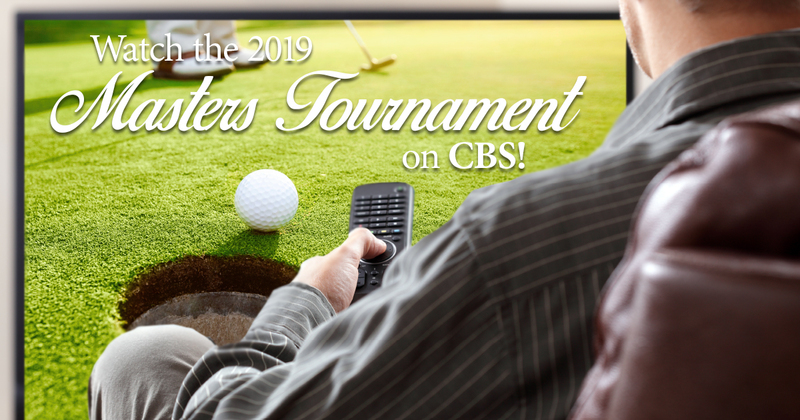 This year’s CBS live broadcast schedule begins with third-round coverage on Saturday, April 13 and concludes with the Green Jacket Ceremony immediately following end of play on Sunday, April 14th. A variety of coverage will also be available online at Masters.com beginning on Wednesday, April 10th. A full schedule of all the action is available on the PGA website. If that’s not enough, cord-cutter friends, there’s even more Masters content available online for your viewing pleasure. The Masters YouTube channel includes every final-round broadcast since 1968. It’s a great way to get into the championship mood, and re-live all of the greatness of tournaments past. Who will be this year’s winner? That is yet to be determined, but you’ll sure feel like a winner watching the rounds of play over-the-air on CBS for FREE with your high-definition TV antenna from Antennas Direct. Check it out today!